View the Official Ranking List for the 2012/13 Women's European Cup Competitions. 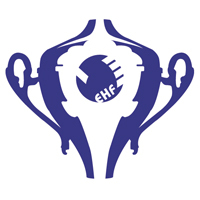 After the information regarding the Men's competition was published last week, the EHF has published the Ranking List for the 2012/13 Women's European Cup Competitions. The available "Ranking list 2012/13" makes clear the position of the national federations in the ranking of the Women’s European club competitions. This ranking list serves as the basis for the distribution of places for the club competitions in 2012/13. The ranking for the 2012/13 season is based on the results in all Women's club competitions of the seasons 2010/11, 2009/10 and 2008/09. There is no major change in the top positions in the ranking, as those seven federations with two places in the EHF Women's Champions League remain unchanged for the 2012/13 season. The number one position remains in the hands of Denmark. Czech Republic lose their EHF Champions League place to Italy, who give the Czechs their extra EHF Cup place. Please remember that EHF Cup and Cup Winners’ Cup are only merged in the men's competitions, but not in the women's competitions. The women's competitions remain basically unchanged for the 2012/13 season. The EHF and in particular the technical bodies will discuss a restructuring of the qualification process to the EHF Women's Champions League, as the current system of the qualification tournaments in two steps create a heavy economical burden for the clubs. At the same time it creates a certain pressure regarding the playing calendar, especially at the beginning of the season. This topic will therefore be discussed in the meetings of the Women's Club Committee as well as the Competitions Commission in September 2011. In case there will be a final proposal, it will be forwarded to the EHF Executive Committee for a decision, which might go in force for the 2012/13 season.